All of the following are available as midi, pdf., on CD, tape or printed music. The midi files on this server are modified and somewhat abbreviated. There is enough of each song (about 20 measures) to give you a feel for what they are like. In 1993 I found some reel to reel tapes with recordings of my 4 piece combo. They date from 1955 to 1970. I transferred them to casette in 1993 and then to cd in 1999. July 2010 I created the Mp3 files. I don't have all the tunes but for better or for worse I'll lay on you what I have. Some feedback would be nice. These are arrangements written for my working group. Originally scored for ALTO, TRPT, PIANO, and DRUMS. When I started using Finale (1993) I added a BASS part. And thanks to software the TENOR SAX, and BASS parts are available. All the "live performances" were performed with Alto, Trumpet, Drums and Piano. With a little imagination can be used for almost any combo. Recorded CD's available $19.00 each includes domestic p/h. Midi files are also available. These arrangements are written so that a group can segue into a tune from something being faked. They can be segued out of to a fake tune, or they can be used as stand alone songs. Very flexible. Click on MP3 listings to hear the entire arrangement and see a page of the score. If a listing is not marked it is a MIDI sample. 2. mp3 Peter Gunn Short version. 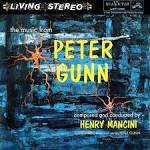 2. mp3 Peter Gunn Long version. 3 ad-lib blues choruses then the arrangement. 5. mp3 Gone With The Wind a live performance + one page of the score. Played as a cha cha instead of a ballad. The arrangement is written to be played as a ballad! Some Enchanted Evening, Younger Than Springtime, Happy Talk, I'm Gonna Wash That Man Right Out Of My Hair, Honey Bun, We Ain't Got Dames, I'm In Love With A Wonderful Guy & Bali Hai. Don't Get Around Much, Sophisticated Lady, Do Nothing 'Till You Hear From Me, In My Solitude, I Let A Song Go Out Of My Heart. 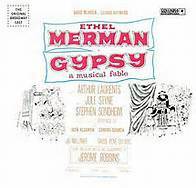 12. mp3 You Took Advantage Of Me a 1958 performance. You'll hear the chart as written even though it was part of a dance medley. 13. mp3 Have You Met Miss Jones A vocal rehearsal .. 8 minutes long. View One Page of the chart. 16. mp3 Mam'selle - Ballad (MP3) one chorus plus a page of the score. 18. mp3 Linda Medley live performance + One Page Of The Score. + one page of the score. Live performance at the Las Vegas Club 1961. Live performance + One Page Of The Score. "That Old Gang Of Mine","Wedding Bells Are Breaking Up That Old Gang Of Mine", "Yes Sir That's My Baby", "Moonlight Bay" and "Oh You Beautiful Doll"
Andre' Previn's wonderful jazz hit played for dancing. I'm Looking Over a Four Leaf Clover, I'm Just Wild About Harry, Baby Face, Put On Your Old Grey Bonnet &Put Your Arms Around Me Honey. Vocal choruses + Instrumental. 30. mp3 Old Timers Medley On gig recording. Tunes listed above. 31. mp3 From This Moment On One chorus and out. "Hello Young Lovers", "The Boy Next Door" and "Hi Lili". 38. midi Wedding Medley (v) I'll Dance At Your Wedding, I'm Getting Married In The Morning, Enjoy Yourself. 39. mp3 Isle Of Capri Mambo On gig recording. Swing Tune From "Bells Are Ringing"
Ballad From "Bells Are Ringing"
The Jerome Kern standard set to a swing beat. Heart of My Heart, Maybe, Bye Bye Blackbird & Somebody Stole My Gal. the Andre' Previn Trio recording. Recorded at a "practice" session. Written and played as a cha cha. From the Broadway show "Kiss Me Kate"
From The musical production "Bye Bye Byrdie"
Not included in my regular book. I wrote LIL' MISS originally for big band. I don't know when but re-scored it for combo in the late '90s. (Trpt, Sax, Tromb., Guitar, Piano. Bass and drums). mp3 Lil' Miss Recorded Live. I wrote the following charts for the house band (Roy Ross), at radio station WNEW in N.Y.C. in 1955. The show was hosted by Bill Kemp, Bill Harrington, and William B. Williams. Unfortunately most of my arrangements were either lost or left behind when we moved to Texas.